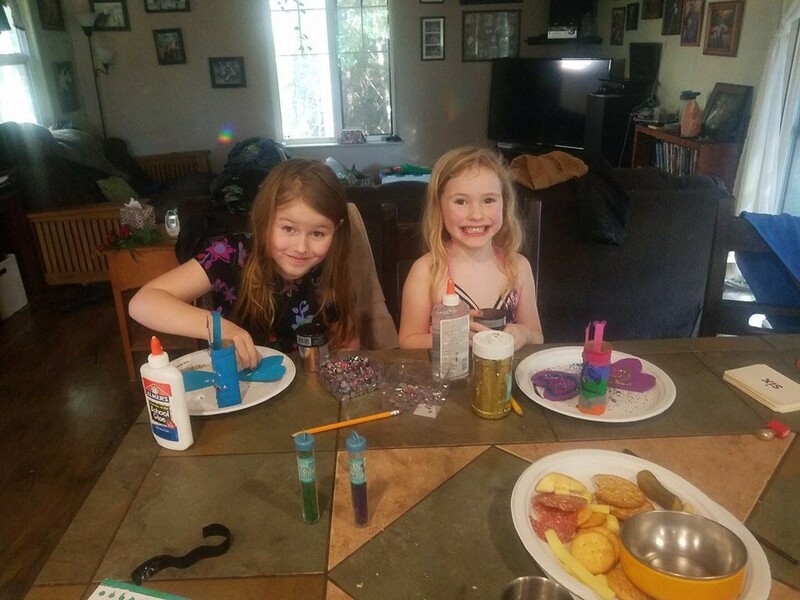 A search and rescue effort for two sisters — Caroline and Leia Carrico, 5 and 8, respectively — who went missing yesterday afternoon in the woods near Benbow have found a clue. 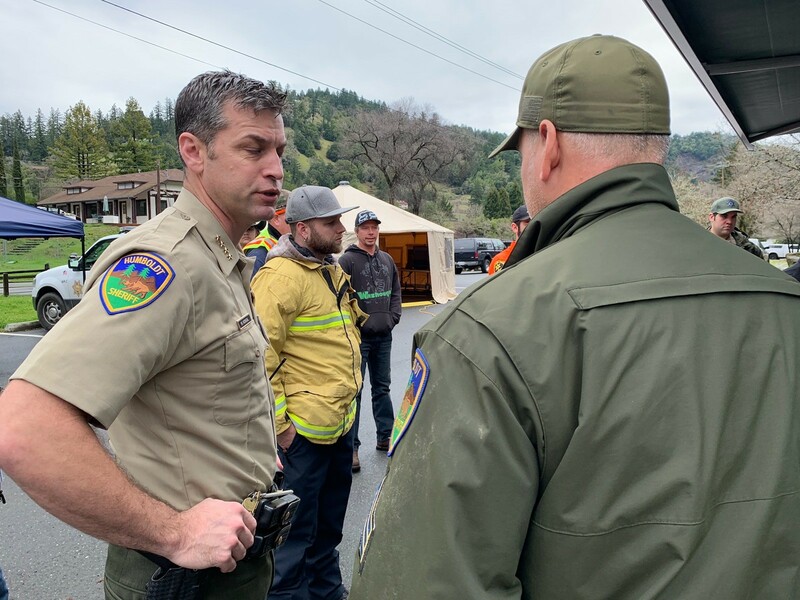 Humboldt County Sheriff William Honsal at the command center. He also said that they located what might have been an attempted fire pit with fresh branches. In addition, Fridley explained there are multiple search teams in the area, including four with dogs and a U.S. Coast Guard helicopter flying overhead. Fridley said it will fly until it runs short on gas, at which point a National Guard helicopter should be available. “We have a drone coming,” Fridley added. The girls were last seen at 2:30 p.m. yesterday at their home when they asked their mom to go for a walk. She reportedly told them she wasn't ready yet and, when she came back about 30 minutes later, they were gone, believed to have ventured into the woods. Family and neighbors searched the area until about 6 p.m., when they called authorities who quickly mobilized a search effort that continued overnight. At least 10 agencies have since joined the effort, with multiple teams scouring the area for the girls. And every team and the route they’ve searched is being recorded. “Each search team has a tracker that operates over satellite,” Fridley explained. Below is a video by Mark McKenna describing how the tracker helps the searchers. Fridley said that the parents are both out searching. “The dad has been searching all night long,” he said, adding that the mother is also out search again today. 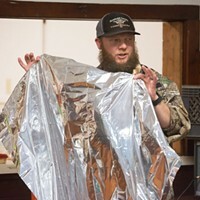 He explained that while there is hope with the wrappers, officials are still concerned. “The weather is cold," he said. "We’re worried about hypothermia. ... They are young girls and I’m sure they are scared." Fridley added that the Sheriff's Office's criminal investigations crew is on scene "in case this goes a different direction.” There are no indications of foul play, he said, adding that officials just don't want to assumption stand in the way of their being read if facts change. “We’re following the clues,” Fridley explained. 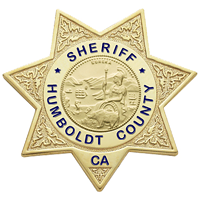 If anyone has any information, a public tip line has been established at (707) 441-5000. Editor's note: This story first appeared at www.kymkemp.com and is reposted her with permission.